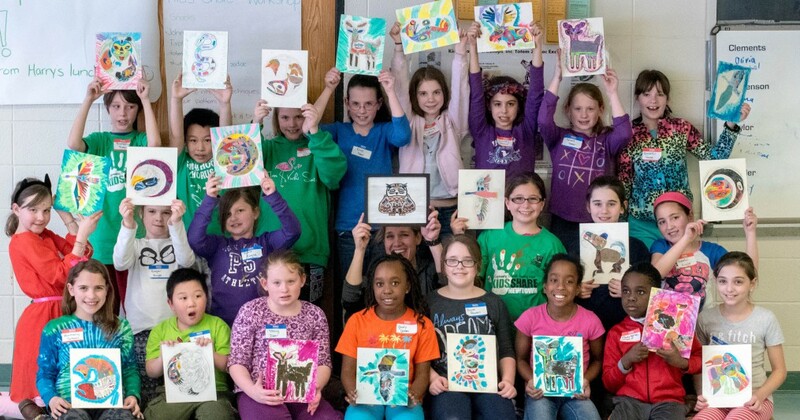 We have been warmly received and supported by a public school in Newtown, CT, where a new Kids Share Workshop will take place this spring. This will be our second workshop in the town of Newtown, CT. Our last workshop was generously supported by The Newtown Youth Academy, and many volunteers and businesses in the state of Connecticut. Below are our generous 2015 Kids Share Workshops supporters! We are proud to announce the Sandy Hook School Foundation awarded a small grant to Kids Share Workshops. The grant will cover workshop supplies, and the Artist in Residence. After our new workshop, many of the supplies will be offered to the school’s art department. To learn more about the Sandy Hook School Foundation, simply click on the logo. The mission of the Sandy Hook School Foundation is to support programs, resources and enrichment that can make a positive difference in our school community. The Sandy Hook School Foundation takes a broad view of the school community’s long term academic, mental and physical health needs. We are very grateful to Kelly Newton at Nelson’s Ace Hardware, and president Bob Nelson in Barre, Vermont for giving a major discount donation of 16 quarts of high quality latex paint. The remaining paint will be offered to the Newtown schools art department.